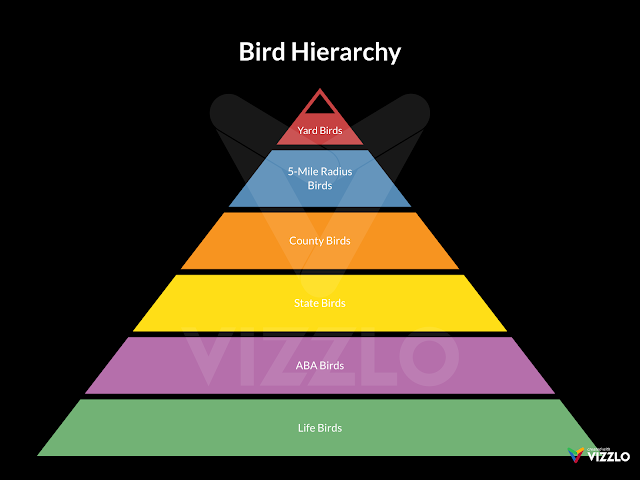 Lately I've been thinking about the hierarchy of birds, for example how a new Clark County bird is often more exciting to me than a life bird in another state. 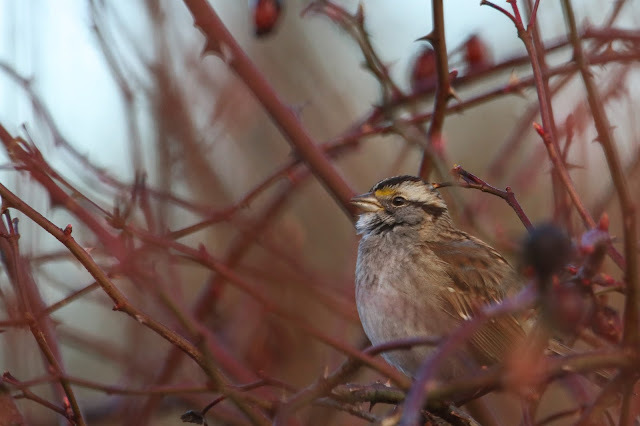 A new yard bird better than a new state bird. A new state bird seen in the yard? Even better. The reward is higher for me when I'm closer to home. Creating a 5MR list keeps the fun going by factoring another level in the hierarchy, one that is high on the scale of reward. 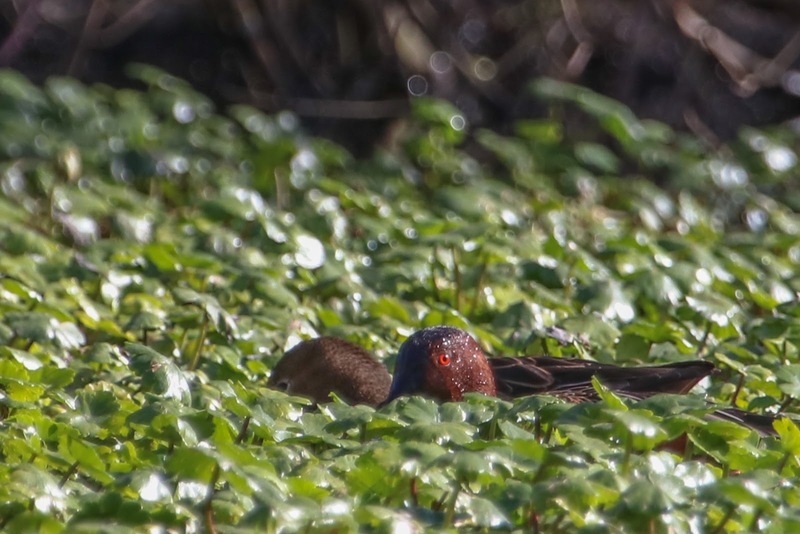 It seems other birders appreciate the hierarchy as well since there has been a 5MR EXPLOSION on eBird, with piles of California 5MR's (thanks to blog-lurker Kevin L in SoCal), not to mention an Olympia one and a Florida one (yay, Caroline!). This attention combined with the recent public endorsement of 5MR's by famous bird blogger Seagull Steve, I figured it was time to dust off my own 5MR and work on my local patches. I've hit Meadowbrook Marsh on foot a couple times recently which picked me up six motorless year birds, including a couple that would be leaving soon. 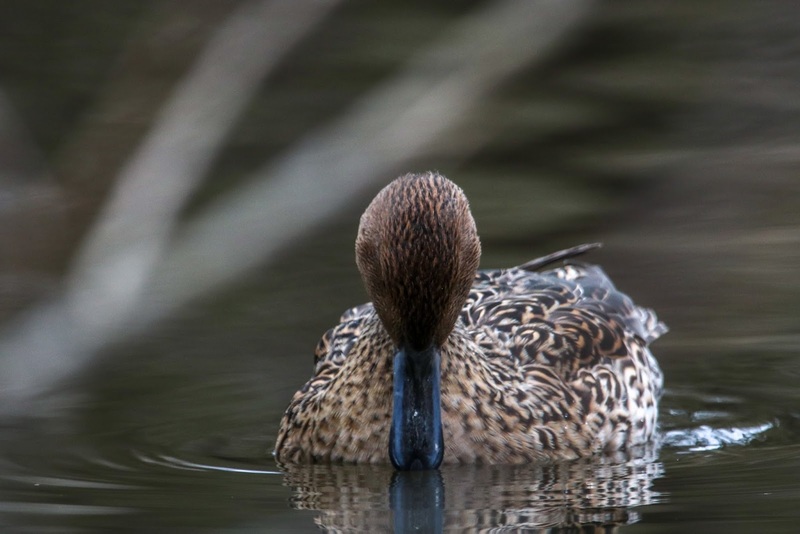 Freshly arrived Cinnamon Teals were new birds for my 5MR (#166). Other new additions to my 2018 5MR list here were Chestnut-backed Chickadee, Wilson's Snipe and American Coot. 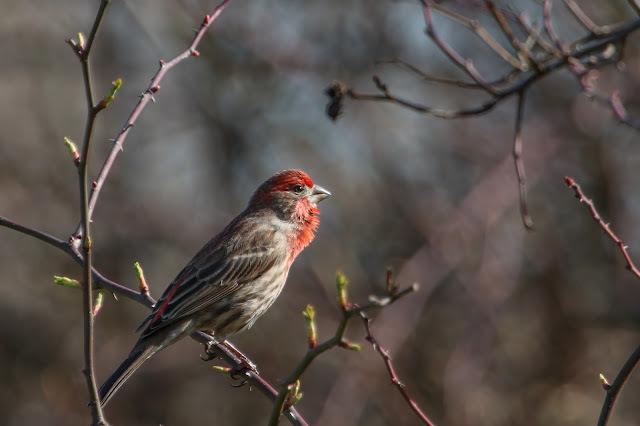 House Finch was not a new addition but this fellow was singing in the sunshine, looking like a million bucks. 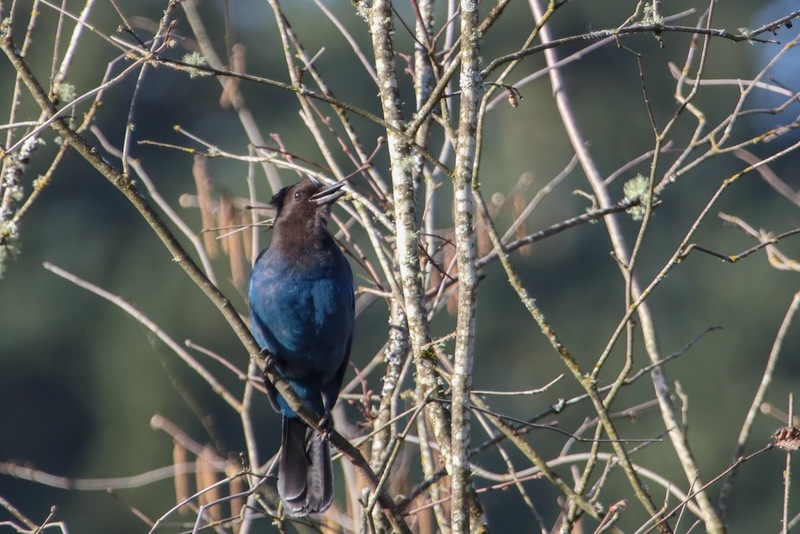 Steller's Jays are one of the most conspicuous birds in the area yet they rarely pose for photos. Yesterday morning I went out to Jacob's patch, the segment of the Burnt Bridge Creek Trail that is adjacent to Meadowbrook Marsh. 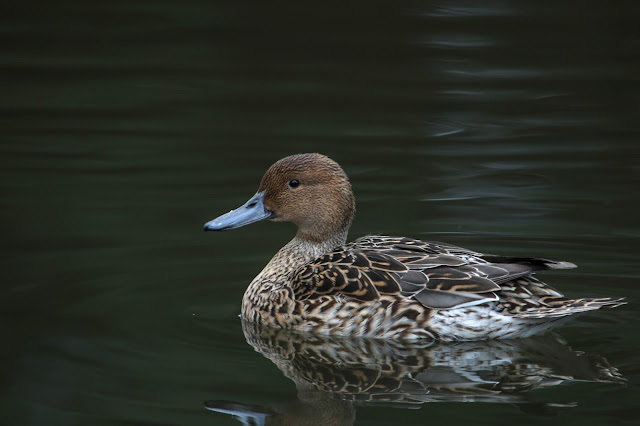 I was hoping for more 5MR birds and I picked up Varied Thrush and Northern Pintail for the year. 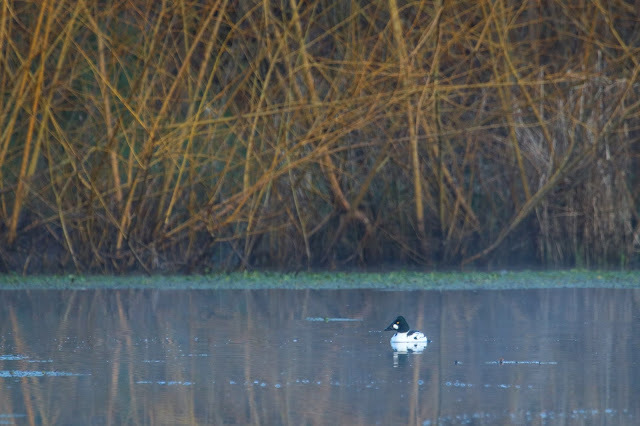 There was a pair of pintails, the female begging for snacks. This is not my usual interaction with pintails. What! Look at that bill! Everyone knows that your yard can play a big factor in your listing success, sitting at that small tippy top of the bird hierarchy. One year I reported my motorless list to the list serv only to find out someone had a year yard list of the same size. A good yard can be a game changer. Getting a county state bird in your yard? Well, that's almost as good as it gets. Last night Jacob and I experienced exactly that. We were outside a bit after 8:00 for the mutts' last potty break when we heard a ridiculously loud two-syllable bird call, repeating several times over the next couple minutes. We usually only hear Killdeer and the occasional Great Horned at night, not this bizarre pterodactyl call. Once inside I was repeating the sound to myself when a bird popped into my brain. I opened the Sibley app and ran through the calls of the Long-billed Curlew. Jacob looked up as I played the one at the top of the list. "That's it! What is that?" The exact sound we heard is the first one on the Sibley app, or the second on the Audubon site here ("curlee & other calls"). 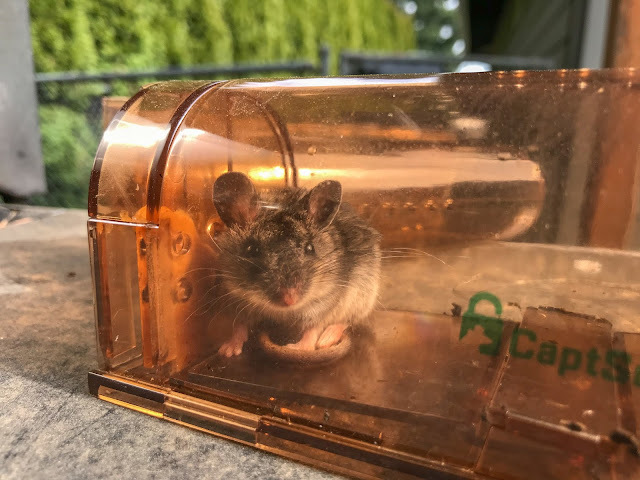 Since I have nothing to show for this new state/county/motorless/yard (but sadly/weirdly not 5MR) bird, I offer you the cutest damn mouse I ever saw, caught in our live rat trap yesterday. I think it's a deer mouse. Look at this video of it bathing before being released. Watch for the adorable crossed arm tummy rubs. That's all the 5MR news for now. Good times!! I am absolutely jumping on the 5MR bandwagon. Thanks for helping push me over the edge! Sweet! There are definitely not enough 5MR's in the middle of the country! Follow-up question: do you count things that you saw in your current 5MR before it was your current 5MR? 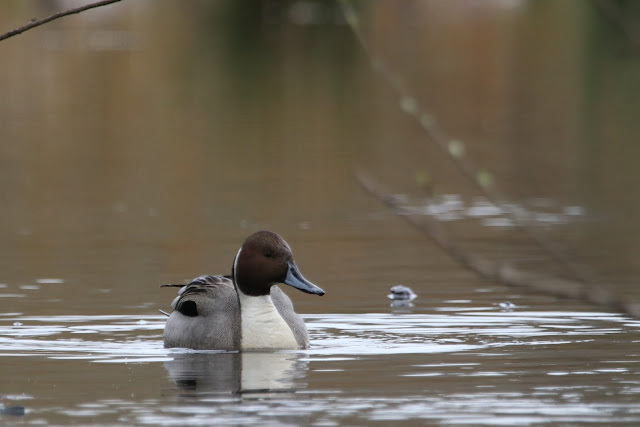 I moved last year, but I have some pretty great birds from the area that is now my current 5MR, but at the time they were more than 5 miles away from my previous home. Yes, I do count old sightings! I've been reading your blog for about a year now - really enjoying it. Your forgot to label the vertical axis in your bird hierarchy graphs: "Dopamine Level." Very cute mouse. But based on those fuzzy ears, the tail and all the gray, I'm leaning toward Mus musculus. Thanks for the mouse help- I have no clue when it comes to identifying them as anything more than adorable. 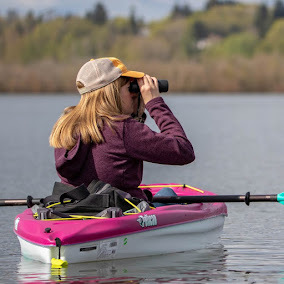 Wanting to spend more time with my family, I gradually whittled my birding from annual state listing to only my local county listing--something I still do in San Diego. Life Bird in nearby Orange County? Meh. I celebrated my first county photo of Violet-green Swallow this weekend! I've got photos of Groove-billed Ani and other rarities in the county, but am making plans to photograph my first Barn Swallow for the county. I have photos of 322 of the 351 species I've seen in San Diego County--trying for 100%. That's a good goal, one that will take awhile! A state bird in your yard? Isn't that what dreams are made of? Your hierarchy is totally different from mine but I respect your fierce localness. But the question must be asked...where do yankee bravos fit in? Yeah, the hierarchy was just me amusing myself at 5:30 a.m. and I realized that many birds did not fit nicely into it. 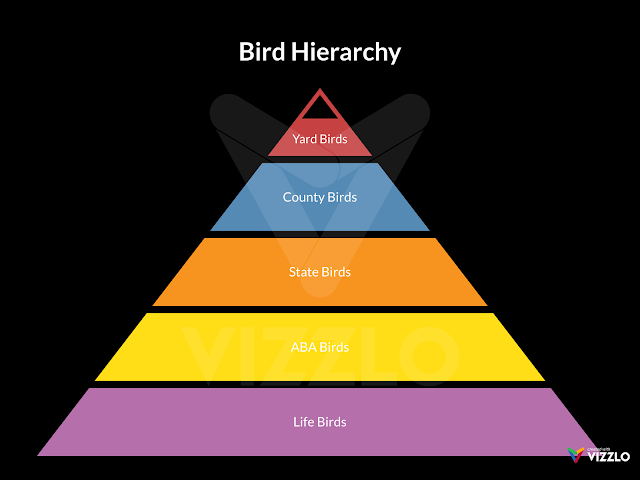 I almost made a whole different pyramid for year birds. Decided two pyramids was two pyramids too many as it was.